David Chestnut, MD, professor of Anesthesiology, received the Society for Obstetric Anesthesiology and Perinatology’s (SOAP) Distinguished Service Award during the group’s annual meeting in May. The award honors longstanding members who have made exceptional contributions to obstetric anesthesia. 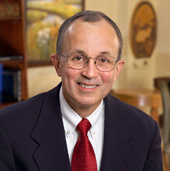 Chestnut has practiced anesthesiology for 34 years and has received multiple distinguished honors. He is also the senior editor of “Chestnut’s Obstetric Anesthesia: Principles and Practice,” which is regarded as the principal textbook of the specialty. “It was especially meaningful that the award was presented by my colleague and friend, Curtis Baysinger, MD. I have known Curtis my whole career and it has been wonderful to work with him at VUMC these last four years,” Chestnut said.